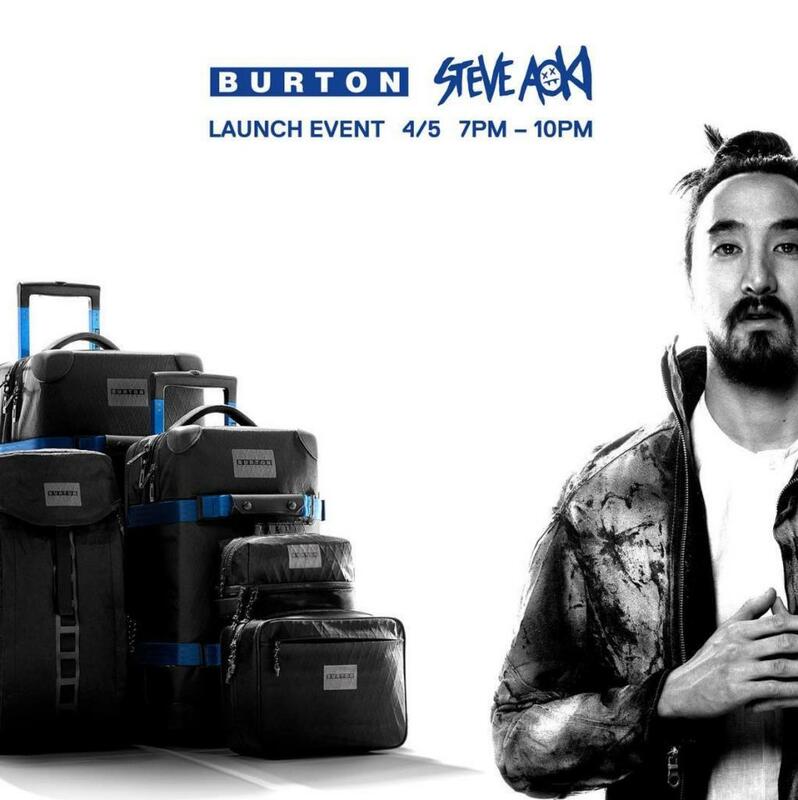 Follow the Get Tickets link to RSVP to this event celebrating the launch of the Burton x Aoki collection of bags and luggage, which will be hosted by Steve Aoki himself. Enjoy food, refreshments and DJ sets. 21+ only.